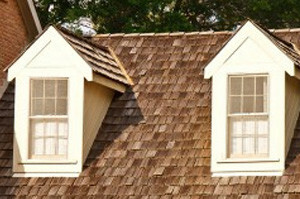 Shingled Roofing | Cedar Shake Roofing | Slate Tile RoofingNaperville Exteriors, Inc.’s goal is to provide its customers with the best roofing services in the industry. We are well-known for using a preemptive approach to roof repairs by encouraging homeowners to permit us to prevent roofing problems before they begin. In fact, homeowners are able to save thousands of dollars in roof repair and roof replacement costs by employing all-inclusive roofing maintenance. By utilizing preventative procedures, you will recognize that quality roof repairs are frequently a far more acceptable and less expensive alternative to a total roof replacement. Customers can always count on Naperville Exteriors, Inc. to never force them to get a complete roof installation, when it is only a roof repair that is required. We provide a comprehensive line of roofing services to restore your roof to a like-new condition. After we conduct an on-site inspection of your roof, we will identify any possible problems and work out the most cost-effective solutions. For over 10 years, we have been delivering residential roofing services to homeowners and business owners in the Greater Chicago Metropolitan Area. Our highly-skilled team of roofing contractors is dedicated to providing dependable roof repair, total roof replacement and roof installation for our customers’ ultimate satisfaction. Recently, Naperville Exteriors, Inc. has been installing a range of roofing products for customers in Western Springs. Western Springs, Illinois is located in Cook County. There are right around 13,000 residents who make Western Springs home. Business Week.com named Western Springs as #2 in its list of“50 Best Places to Raise Children” in 2007. The criteria for being on the list were based upon five features: 1) school test scores; 2) cost of living; 3) recreational and cultural activities; 4) number of schools; and 5) risk of crime. Western Springs’ homeowners regard Naperville Exteriors, Inc. as the best solution for all their roofing needs. Considered a leader in the roof repair, roof replacement and roof installation, our roofing contractors deliver the highest quality workmanship, product knowledge and professional follow-up with clients. A considerable amount of our Western Springs’ roofing business comes from referrals and repeat customers. If you are contemplating roof repair or roof replacement, we will provide you with the kind of information that will help you determine the appropriate roofing system for your home and your budget. Although price and endurance may top your list, aesthetics and design are enormously important to Western Springs’ residents, also. Regardless of the kind of roofing you want on your Western Springs’ home, you can relax in the knowledge that our roofing contractors will have the answer. When you are weighing the possibility of roof repair, roof replacement or roof installation, Naperville Exteriors, Inc. will be able to help you with each phase of roofing for your home. Furthermore, we are well-known for our complete roof replacement at the most economical pricing available. If a new roof replacement or roof repair is in the near future for your home or business, Naperville Exteriors, Inc. is the only name you need to know! Call us today at: (630) 254-4831. You will be glad you did.